Christchurch International Airport is the main airport serving Christchurch, New Zealand. On 16 December 1950, Christchurch International Airport became New Zealand's first international airport. Christchurch International Airport operates 24 hours a day as it is curfew free. Christchurch International Airport (IATA code: CHC) is the second-busiest airport in New Zealand and hub for Air New Zealand. Flights to Christchurch International Airport are provided by international airlines such as Emirates, South African Airways and Qantas. CHC is a 20-minute drive from the city centre of Christchurch. Book your cheap flights to and from Christchurch International Airport online! Christchurch International Airport is the gateway to Christchurch and the South Island. Discover what makes this airport so innovative by traversing through its doors. Christchurch International Airport prides itself on changing the lives of Christchurch citizens and visitors for the better. The airport was established in 1936 with an aerodrome at Harewood. Today, Christchurch International Airport has direct flights to 18 domestic and 11 international destinations. Christchurch International Airport has an amazing range of food and drink options. Places to eat include cafés, fast food franchises, a noodle bar, bars, and restaurants. There is an incredible range of shops at Christchurch International Airport, where you can spend your time shopping for the best of the latest gadgets and clothing. Discover the blissful duty-free world of shopping. Alcohol, cosmetics, luggage, accessories, electronics and books are some of the things that can be purchased at the stores at Christchurch International Airport. Christchurch International Airport has a quality variety of facilities, including banking, a prayer room, a charging station, postal services, a meeting room, internet kiosks and accommodation. This 4.5-star hotel is ideally located just five minutes’ walk from Christchurch International Airport. Amenities include a restaurant and bar, a complimentary airport shuttle and gym. Step into a world of stylish airport accommodation only three minutes’ drive from Christchurch International Airport. Amenities include a bar, a restaurant, a 24-hour shuttle service and a business centre. This wonderful 3.5-star is a 7-minute drive from Christchurch International Airport. Amenities include self-parking, and a restaurant. Travelex outlets are located throughout Christchurch Airport. Christchurch International Airport is located 12 km north-west of the city centre of Christchurch. 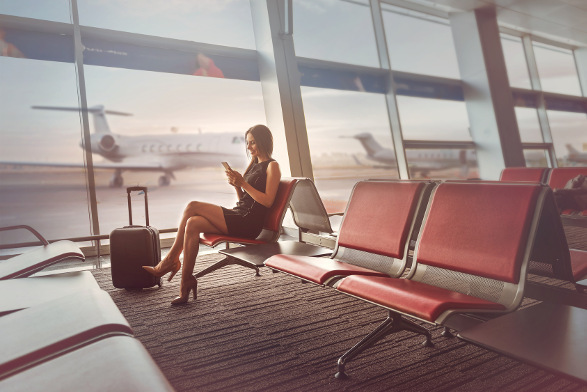 Buses, metered taxis, corporate cabs, car rentals, Uber and airport shuttle options are available to transport you from the airport to your destination.